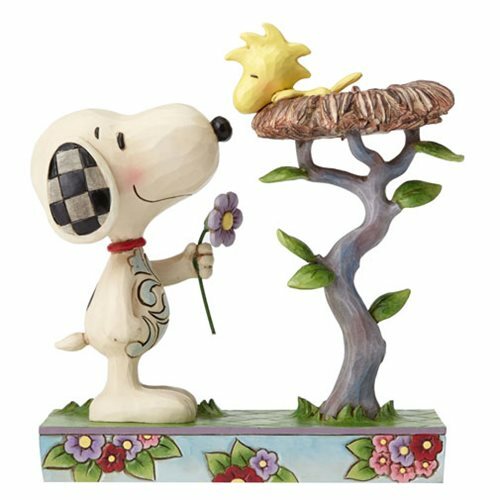 Snoopy brings Woodstock a flowery Nest Warming Gift in this delightful design combining the beloved Peanuts characters with the artistry of Jim Shore. The Peanuts Jim Shore Snoopy with Woodstock in Nest Statue is made of stone resin. Measures about 6 3/4-inches tall x 6-inches long x 2 3/4-inches wide. Ages 13 and up.